We are pleased to announce that the Ampendage will soon be available in two solid wood finishes. The new designs are based on the ‘Classic Black’ Ampendage II Amp Stand, but with a distinctive new premium look. 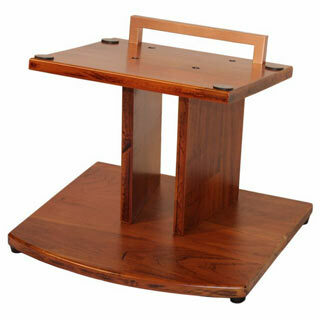 Add some color to your kit with a Solid Teak or Solid Maple amp stand. Pre-order yours today for August 2012 delivery!